Do banks have a widow's cruse? James Tobin wrote a paper back in 1963 called Commercial Banks as Creators of Money in which he pointed out that banks don't possess a widow's cruse. There has been a bit of a blog uproar over Tobin's paper (See Paul Krugman, Winterspeak, JKH, L. Randall Wray, Nick Rowe, Cullen Roche, Ramanan, Roger Sparks, and Steve Randy Waldman). My two bits will hone in on the widow's cruse aspect of the debate. The phrase widow's cruse is defined as "an inexhaustible supply of something," which in turn is a reference to an obscure Bible story. Flip to I Kings 17:7–16 and there is a short passage in which the prophet Elijah asks a destitute widow to make him a loaf of bread. 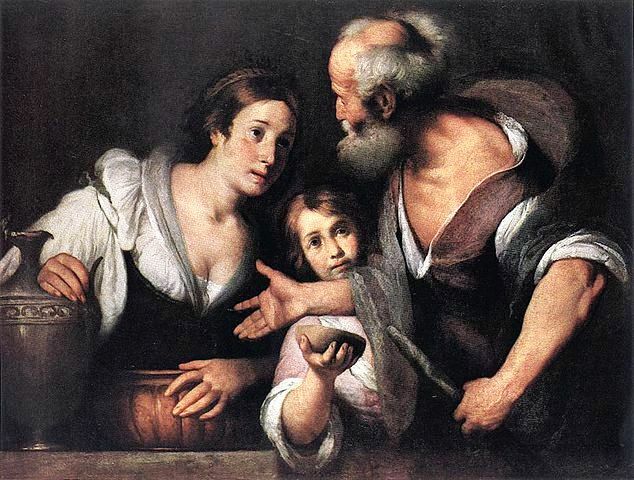 The Lord blesses the widow saying that the "jar of flour will not be used up and the jug of oil will not run dry until the day the Lord sends rain on the land." What Tobin was referring to in his paper is that unlike the widow and her jug of oil, commercial banks aren't blessed with the ability to expand their liabilities indefinitely. When it comes to bank deposits, there is an "economic mechanism of extinction as well as creation, contraction as well as expansion." Modern central bank's, on the other hand, do have such a cruse. Once central bank liabilities are created, there is no way for the economy to get rid of the excess. The hot potato analogy "truly applies", noted Tobin, because central bank money cannot be extinguished. We know that the actions of any institution in possession of a widow's cruse will have major macroeconomic effects. With its cruse, a central bank can create excess media of exchange which, as it is passes from hand to hand, pushes up nominal income. An increase in quantities and/or prices is the only release valve for unwanted exchange media. A commercial bank, which has no cruse, might create an excess of deposits but this will not have any lasting influence on nominal income. After all, if the public doesn't desire new deposits, this excess will either quickly reflux back to the issuer, or it will displace competing deposits created by another bank and these deposits will reflux. To keep its deposits suspended in the economy will require a commitment of resources (say a superior interest rate). But resources are finite, unlike the widow's cruse. Central banks didn't always have cruse. As David Glasner reminds us, when a central bank's liabilities, say those of the Bank of England, were convertible into gold, the Bank couldn't issue in excess of the public's desire for central bank notes. Unwanted notes would quickly return back to the Bank, inhibiting the Bank from having any macroeconomically important effects. The Bank of England, much like a modern commercial bank, could affect neither prices nor quantities via excess note issuance. So what are the sufficient conditions for having a cruse? Consider that there are all sorts of financial instruments that can be expanded indefinitely. A company can continue issuing corporate stock, for instance, as long as it wants. To crib from Tobin, any expansion of corporate assets will generate a corresponding expansion of corporate liabilities, or in this case, equity. The mechanism for the creation of stock does not have an equivalent mechanism for the extinction and contraction of said stock. Without an instant-convertibility clause, stock is a perpetual instrument, much like modern central bank money. [For more along this line, see Money: is it immortal or does it die young?]. Despite its perpetual nature, I don't think that a stock-issuing company is blessed with a widow's cruse. An exogenous increase in the quantity of an individual company's stock will only affect relative asset prices; it won't change an economy's nominal income. To paraphrase Tobin, the burden of adaptation to an increase in the quantity of a corporate stock is not placed on the entire economy. This is because prices in an economy are not denominated in units of a given corporate stock, but in dollars, pounds, or whatever. Central bank money, on the other hand, is the economy's unit of account. The entire economy is burdened by the necessity of adapting to an increase in its supply. So what does it take to have a widow's cruse? Two things. The liabilities of the issuer must be perpetual and non-convertible upon demand. Secondly, shops and markets must use those liabilities as a unit of account. Only when these two conditions will a widow's cruse have emerged. Commercial banks pass the latter but fail the former. Stock-issuing non-financial corporations pass the former but fail the latter. Only modern central bank money is both. The lever on which a central bank pushes or pulls in order to keep its target variable (say inflation) on track is commonly referred to as the central bank's policy instrument. The policy instrument is the variable that is under the direct control of a central banker. The classic story is that the pre-2008 Fed conducted monetary policy via its policy instrument of choice—the federal funds rate. By pushing the fed funds lever up or down, the Fed could change the entire spectrum of market interest rates. I think this is wrong. The fed funds rate was never the Fed's actual policy instrument. Now this isn't a novel claim. Market monetarists tend to say the same thing. According to folks like Nick Rowe, the quantity of money has always been the Fed's true policy instrument. The fed funds rate was little more than a useful shortcut (a communications device) adopted by the Fed to convey to the public what it intended to do. I'm sympathetic to the market monetarist's position, although I'm not entirely in the same corner. I agree that the Fed's policy instrument was never the fed funds rate. But I'm going to go one further than the market monetarists and say that the Fed's real policy instrument prior to 2008 was always the non-pecuniary return on reserves. What do I mean by non-pecuniary return? All assets are expected to provide a sufficient return to their holder. This expected return can be decomposed into a pecuniary and a non-pecuniary component. Financial assets, for instance, tend to provide only pecuniary returns. These come in the form of expected interest payments, dividends, and capital appreciation. Non financial assets like couches, books, and cutlery tend to provide only non-pecuniary returns. These non-pecuniary returns come in the form of future consumption (dated consumption claims), protection from uncertainty, status, etc. Complex assets like houses provide both pecuniary and non-pecuniary returns. We expect to enjoy the shelter provided by our house, and we simultaneously expect it to provide a capital gain when we sell it. Note that another word for non-pecuniary return is convenience yield. I'll use the two interchangeably from here on in. In well-functioning markets, all assets provide the same total expected return. If some asset begins to throw off excess returns, people will buy it up till its price has risen to the point that the cost of acquiring that asset offsets its superior return. Vice versa with an asset that begins to throw off deficient returns. Central bank reserves are like any other asset. They provide an expected return that can be decomposed into pecuniary and non-pecuniary components. Perhaps somewhat oddly for a financial asset, reserves have never provided a pecuniary return, at least not before 2008. This is because reserves failed to pay interest. (In fact, reserves have always provided a slightly negative pecuniary return. They are generally expected to fall in price, burdening holders with a negative capital gain). Reserves, therefore, are only held because their non-pecuniary return, or convenience yield, is sufficiently large to compensate their owners for a lack of a pecuniary return. [From here on in, it goes without saying that I am talking about the pre-2008 Fed]. What is the nature of this yield? Reserves are the main instrument used for interbank payments and settlement. Should an emergency arise necessitating an immediate payment, a banker can always put his or her inventory of reserves to use. If a banker foregos holding an inventory of reserves, he or she will have to bear the risk of not being able to quickly obtain sufficient reserves for potential unforeseen payments requirements. Reserves are to a banker what a fire alarm is to a household— while neither provides an explicit pecuniary benefit, both assets provide their owners with ongoing protection from the uncertainty of future events. Bankers and households alike expect to "consume" this convenience over the life of the asset, earning the same total return they would on their other assets. It is the convenience yield on reserves, and not the fed funds rate, that serves as the Fed's policy instrument. By manipulating the convenience yield—the non-pecuniary return provided by reserves—the Fed exercises monetary policy. When the Fed improves the convenience yield on reserves, reserves will provide a superior expected return relative to all other assets in an economy. Rational agents will bid the price of reserves up, and the price level down. When it hurts the convenience yield, reserves will provide an inferior expected return relative to all other assets in an economy. Rational agents will now cry the price of reserves down, and the price level up. One way to alter the convenience yield on reserves is to change their quantity via open market operations. As the supply of reserves shrinks via open market sales, the marginal reserve provides an ever improving convenience yield. Rational agents will seek to earn an excess return on their portfolios by buying superior-yielding reserves and selling other assets. This causes a fall in the price level until reserves no longer provide superior returns. Conversely, as the supply of reserves is increased via open market purchases, the marginal reserve provides an ever shrinking convenience yield. Rational agents will try to rid themselves of inferior-yielding reserves, causing a decline in the price of reserves, the mirror image of which is a rise in the price level. There's a second way to change the convenience yield on reserves. Keep the quantity fixed, but make reserves more convenient! Just like an auto manufacturer can improve the expected convenience yield of a car by adding more features—cup holders, AWD, safety air bags, inboard TV, you name it—the Fed can also improve the expected convenience yield on reserves by souping them up. One popular add-on has always been the required reserve stipulation. As a condition of participation in the payments system, a central bank may require member banks to hold a certain quantity of reserves contingent on the number of deposits that each member has issued to the public. Where before central bank reserves were valued primarily for their role in settlement, now reserves can also be held to fulfill the reserve requirement, enabling the bank to continue as a payments system member in good standing. Voilà, reserves are now doubly-convenient since they can perform two roles, not just one. Henceforth, any increase in reserve requirements improves the convenience yield on reserves and any decrease will hurt their convenience yield. If the Fed's monetary policy instrument has always been the convenience yield on reserves and not short term interest rates, as is commonly supposed, why all the hoopla about the federal funds rate? Why do central banks talk so much about manipulating overnight interest rates? The problem with doing monetary policy in terms of convenience yields is that convenience yields are not directly visible. We know that they exist, but we can't really see them. This leaves the Fed in a conundrum, because if it tries to communicate about monetary policy, it can only talk about raising or lowering the hidden convenience yield on reserves, but it can't go into any numeric depth on the issue. But wait! There are indirect ways to measure convenience yields. One way is to ask people how much money they expect to earn if they forgo the convenience of some asset for a duration of time. The rent they expect to earn in compensation should "shadow" the convenience yield. The more convenient an asset becomes, the higher the rent the asset holder expects to be compensated with if they are to do without that asset for a period of time. The less convenient, the lower the rent. The federal funds market is the rental market for reserves. Banks can either hold reserves and enjoy their convenience, or they can rent their reserves out to other banks, foregoing the convenience of reserves for a period of time but earning compensatory payments. These payments are the rental value of reserves, or the fed funds rate. The fed funds rate is driven by the convenience yield on reserves. So when reserves are made more convenient by the Fed, banks will expect to earn a higher fed funds rate as compensation from borrowers. When the fed funds rate falls, that means that reserves have been made less convenient. So the fed funds market provides a numeric manifestation of the unobservable convenience yield on reserves. The Fed can use this manifestation as a stand-in for communicating with the public, describing monetary policy as-if it was directly manipulating the fed funds rate whereas in actuality the convenience yield is the Fed's true policy instrument. In the 1990s and 2000s, when the Fed announced changes in the fed funds rate target, it was doing nothing more than describing to the public how a change in the underlying convenience yield would appear to the superficial observer. As Nick Rowe says, interest rate targeting is not reality, its a way of framing reality. The fed funds rate also serves the Fed's Open Market Committee as a useful sign post, or indicator, that provides information on the way to hitting its final price target. For each modification it makes in the convenience yield, the FOMC can measure how successful it has been by referring to how far the fed funds rate has moved in response. Alternatively, the FOMC can use the fed funds rate as a guide for stabilizing what would otherwise be an invisible and difficult to manage convenience yield. In general, the Fed has tried to keep the convenience yield on reserves flat for extended periods of time between meetings. Whenever the fed funds market blips up or down in the interim, the Fed can use these blips as indicators that it is not keeping the underlying convenience yield steady. Action, either OMOs or reserve requirement changes, will be used to bring the convenience yield on reserves back into its holding pattern. But the key point here is that the federal funds rate is NOT doing the heavy lifting in monetary policy. The federal funds rate only responds passively to changes in the Fed's true policy instrument—the convenience yield on reserves. Fed-induced changes in the convenience yield create an instantaneous and simultaneous reaction in all markets, including the fed funds market, bond markets, stock markets, labour markets, goods markets, and commodity markets. The fed funds rate isn't the first price to react, nor is it the pivot around which the full network of other market rates move. That we use the fed funds market to measure the reaction of the economy to a change in the policy instrument rather than using, say, commodity markets, is merely for the sake of ease. The funds rate just happens to be the one that provides the most noise-free signal for how much the convenience yield has been manipulated. ...but not a perfect noise-free signal. The fed funds rate's ability to act at a good reflection of the underlying convenience yield comes to an end when it gets too low. Even as the Fed continues to reduce the convenience yield, the fed funds rate falls to 0% from where it refuses to budge, conveying the impression—an improper one—that the Fed's policy instrument is powerless. But further reductions in the convenience yield, and a higher price level, ARE still possible. My point here is very similar to the one that Nick Rowe makes when he says that interest rates "go mute" at zero. This is an important point I never grasped intuitively till I began to think of Fed policy as the manipulation of convenience yields. The main difference between the two of us is that Nick takes the "money" view, which looks at absolute quantities of money, while I take a "moneyness view", which means I'm interested in monetary convenience yields [on money vs. moneyness]. We arrive at the same final destination, though, albeit by different roads. Plenty of things changed after October 2008. I suppose I could go into this in more detail, but this post is already too long. Suffice it to say that reserves ceased offering a present non-pecuniary return and began offering a pecuniary return. The latter is IOR (interest-on-reserves). The non-pecuniary return has shrunk because there is currently such a glut of reserves in the system that the marginal reserve no longer offers its owner a present convenience yield. All of these changes complicate the picture. There's plenty more to say on all this stuff, but this post is heavy enough. Just keep in mind that thinking in terms of convenience yields and not the federal funds rate opens up a whole new world. The idea that the funds rate was ever the policy instrument should be confined to the trash bin. More later. Scott Sumner ignores banks, so what? In response to a recent comment by Cullen Roche, Scott Sumner wrote that "I have no interest in banking or bookkeeping. My interest is monetary policy." Now this is a point that Sumner has made before. For instance, he wrote an old post back in January entitled Keeping Banks out of Macro, in which he claimed that bank lending "is not a causal factor—it mostly reflects the growth rate of NGDP." To Minskyites and Post Keynesians like Cullen, who put a lot of importance on the banking system and the financial instability that results from bank failures, this claim is blasphemous. But given the side of the field from which Sumner comes from, I think he makes a lot of sense. As Sumner points out in his comment, his main interest is monetary policy, and Sumnerian monetary policy boils down to exercising control over NGDP. Sumner usually explains this by reference to the medium of account role of money, and though I think his terminology is a bit buggy, I agree with him. * By wielding its control over base money, or what Sumner calls the medium of account, the Fed can push up the price level, and therefore NGDP, to whatever heights it wants to. 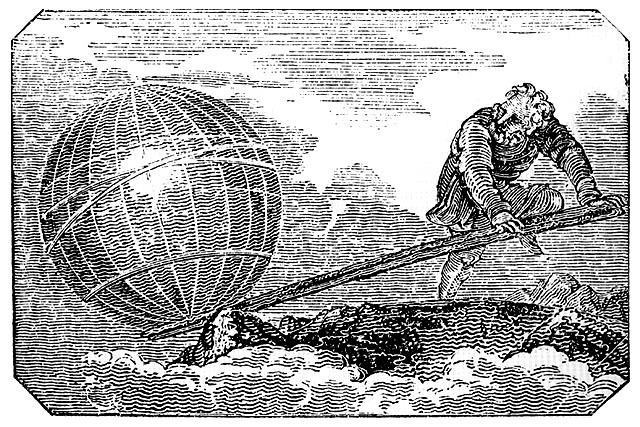 This relates back to my previous post in which I made the analogy of a central bank's power to Archimedes's boast that he could move the world. Give a central banker a long enough lever and a fulcrum on which to place it, and he'll move prices and therefore NGDP as high as he wishes. Whether there is a banking system or not in the picture will interfere in no way with a central banker's Archimedean lever. Here's a very short explanation for why banks don't change anything. Think of a private bank deposit as a call option on central bank base money. Any bank that holds another bank's deposits can "put them back" to the issuer whenever they wish in return for an equivalent amount of central bank deposits or notes. Similarly, a consumer or business holding a bank deposit can always convert them into an identical quantity of central bank cash. This one-to-one correspondence between underlying central bank money and bank deposits, enforced by the option to convert, means that if the purchasing power of base money declines, then so must the purchasing power of a bank deposit. The correspondence between option and underlying is fairly non-controversial. If Apple's stock price falls, then options to buy Apple will fall too. If the options fail to fall in sync with the underlying stock, arbitrageurs will sell options and buy Apple until the gap has disappeared. Just so, if a central bank drives down the purchasing power of base money, a failure of bank deposits to corroborate the fall of the underlying will be exploited by arbitrageurs until that failure has disappeared. Of course in practice we almost never see a difference between the price of central bank money and bank deposits. The process is so automatic that we never think about it. it is convenient to view the value of money as being determined by the supply of and the demand for base money, which then determines the value of inside money via the arbitrage opportunities created by the convertibility of inside into outside money. In David's quote, inside money is bank deposits, and outside money is central bank notes and deposits. So to sum up, since a central banker has precise control of the purchasing power of the liabilities that it issues (explained in my previous post), it will automatically exercise that same control over the purchasing power of the liabilities of the entire banking system, insofar as private banking deposits function as call options on underlying central bank liabilities. Should Ben Bernanke desire to push up NGDP by 10%, he need only hurt the purchasing power of his own liabilities, and this will be immediately reflected in a fall in the purchasing power of all derivative US dollar bank deposits. In a world without banks, Bernanke would exercise just as much control over the price level. Given the observational equivalence of a world with banking and one without, I don't think Sumner, who is primarily interested in manipulating NGDP, is off base in his lack of interest in banking. Of course, Sumner may have an entirely different reason for ignoring banking than the explanation I've put forward. As for banking in general, I do I think it is important to understand it since there is more to understanding economies than the range of issues that interest Sumner. *I think the unit of account role is a more accurate word to use than medium of account. Shops post prices in terms of the unit of account, not the medium of account. Update: Cullen Roche adds a response. I'm running into a lot of central bank doubt lately. Mike Sax and Unlearning Economics, for instance, both question the ability of the Federal Reserve to create inflation and therefore set NGDP. The title of my post borrows from Archimedes. Give any central banker full reign and they'll be able to increase NGDP by whatever amount they desire. But if rules prevent a central banker from building a sufficiently long lever, or choosing the right spot to place the fulcrum, then their ability to go about the task of pushing up NGDP will be difficult. It is laws, not nature, that impinge on a central bankers ability to hit higher NGDP targets. Sax and Unlearning give market monetarists like Scott Sumner, king of NGDP targeting, a hard time for not explaining the "hot potato" transmission mechanism by which an increase in the money supply causes higher NGDP. I'm sympathetic to their criticisms. I've never entirely understood the precise market monetarist process for getting from A to B to C. Nick Rowe would probably call me out as one of the people of the concrete steppes, and no doubt I'd be guilty as charged. But I've always enjoyed looking under the hood of central banking in an effort to figure out how all the gears interact. Given the opacity of the market monetarist mechanism, here's my own explanation for how central banks can jack up the price level to whatever height they desire. The central bank's Archimedean lever is their ability to degrade, or lower the return, on the dollar liabilities it issues. Any degradation in central bank liabilities must ignite a "musical chairs" effect as the banks holding these now inferior liabilities madly seek to sell them. Their value will fall to a lower level (ie the price level will rise) until the market is once again satisfied with the expected return from holding them… at least until the central bank starts to degrade their return again. Because an uninhibited central bank can perpetually hurt the quality of its issued liabilities, it can perpetually create higher inflation and NGDP. It only hits a limit when it has degraded the quality of its liabilities to the point of worthlessness. When that happens the price level ceases to exist. Let's get more specific on how a central bank degrades the return on its liabilities. Any central bank that pays interest on deposits can degrade their return by pushing interest rates down. From an original position in which all asset returns are equal, a decline in rates suddenly makes central bank deposits worse off than all other competing assets. Profit-seeking banks will simultaneously try to offload their deposits in order to restore the expected return on their portfolios. But not every bank can sell at the same time, so the price of deposits must drop. Put differently, inflation occurs. Once deposits have fallen low enough, or alternatively, once the price level has inflated high enough, the expected return on deposits will once again be competitive with the return on other assets. Voilà, NGDP is at a new and higher plateau. Just as a central bank can degrade the pecuniary interest return on deposits, it can degrade their non-pecuniary return. It does so by injecting ever more deposits into the system. With each injection , the marginal deposit provides a steadily deteriorating non-pecuniary benefit to its holder. The bigger the glut of deposits, the worse their return relative to all other assets in the economy. Banks, anxious to earn a competitive return, will race to sell their deposit holdings. The price of deposits will drop to a sufficiently low enough level to coax the market to once again hold them. This is inflation. But what if a central bank needs to degrade its assets even more than this in order to get NGDP to rise? Can it inject more deposits? This will achieve little because once deposits are plentiful, their non-pecuniary benefit hits zero. When there is no non-pecuniary return left for a central bank to reduce, successive injections will be irrelevant with regards to the price level. More on this later. Can it reduce interest rates below zero? We know this will pose a problem because if the central bank embarks into negative territory, it risks having all of its negative yielding deposits being converted into 0% yielding cash. And when this happens the central banks loses its interest rate lever altogether. This is the so-called zero-lower bound. But let's say Miles's option is off the table. A second approach is the New Keynesian one. Even if a central bank can't make their depositors worse off today -- they already pay the minimum 0%, after all, and can't go lower -- a central banker can promise to make depositors worse off tomorrow by maintaining rates at 0% for longer than they otherwise should. To avoid being hurt tomorrow, depositors will simultaneously try to offload the central bank's liabilities today until their price reaches a level low enough to compensate the market. Thus a promise to degrade in the future creates present inflation and higher NGDP. QE is another oft-mentioned approach for increasing NGPD, but it won't be very effective. If deposits on the margin have already ceased providing non-pecuniary returns, introducing more of them makes little difference. As I noted in these two posts, large purchase will only have an effect if they were carried out at the wrong prices. Here, the Fed would be effectively "printing" new liabilities and purchasing an insufficient amount of earnings-generating assets to support those liabilities. As long as the market doesn't expect the government to bail out the irresponsible central bank by immediately topping it up with new assets, central bank liabilities will be forthwith flagged as being more risky. This means that relative to other assets, the return on deposits is now insufficiently low. Only a fall in their price, or inflation and higher NGDP, will coax investors to hold deposits again. The above is a very Sproulian way of hitting higher NGDP targets. Because modern-day QE has been carried out at market rates in big, liquid markets, and not at the wrong prices, central banks doing QE have amassed a sufficient amount of earnings-generating assets to support their liabilities, and therefore fail to compromise their underlying quality. QE is a poor lever for increasing inflation and hitting higher NGDP. Here is the last Archimedean lever for degrading central bank liabilities and pushing up NGDP. As I've already pointed out, the New Keynesians want to reduce the present interest return on deposits by attacking future returns. We can appropriate this forward-looking strategy and use it to attack the future non-pecuniary returns provided by deposits. Say that a central bank promises to put off making deposits scarce again in the future. Put differently, it says that it won't mop up excess deposits with open market sales till well-after the expected date. This means that the future reversion of deposits to their special status as 'rare settlement asset' will have been pushed down the road. As long as this commitment is credible, then the market's assessment of the future marginal non-pecuniary return thrown off by a deposit -- a function of their rarity -- will be reduced. Today's deposit holders, conscious of not just present but future returns, will now be holding a worse asset than they were before the announcement. They will simultaneously try to sell deposits until their price has fallen to a low enough level to bribe the market into once again owning deposits . Once again, we've created inflation and higher NGDP. This last lever seems to me to be a decent market monetarist transmission mechanism. You'll notice that it is similar to the New Keynesian lever in that it endeavors to reduce the present return on deposits by promising to attack their future return. Maybe that's why I've had so many difficulties dehomogenizing Krugman and Sumner -- they both want to attack future returns. Where the argument between them gets heated concerns the specific return each group wants to attack: New Keynesians want to push down future interest rates, whereas Market Monetarists absolutely despise talking in terms of interest rates. From a concrete steppes person to any market monetarists who may be reading this: what do you have to say about the above transmission mechanism? In emphasizing the importance of the quantity of money and expectations, aren't market monetarists really just proposing to attack the future non-pecuniary return on deposits? Aren't they guaranteeing to put off sucking out excess deposits till well after they responsibly should? Now some of these techniques are legal and some aren't. The most direct ones are not, namely Miles's negative interest rates and open market operations at silly prices. I call these the most direct strategies because their success doesn't depend on long range commitments to attack future returns. The problem with commitments to reduce future returns, i.e. numbers 3 and 4, or the "Krugmnerian" position, is that they require future central bankers (and their political masters) to uphold their end of the bargain. If the market has little confidence in the wherewithal of future central bankers to carry through on their predecessor's promises, then a central bank will not be able to reduce present returns by attacking future returns. Positions 1 and 2, on the other hand, directly reduce today's returns on deposits and therefore are less dependent on the future actions of others. So to sum up, to doubt that a central bank can drive up NGDP is to doubt that the central bank can manipulate their omnipotent Archimidean lever, namely their ability to degrade its own liabilities. Certain laws might prevent degradation. So do frictions put up by the politically-linked nature of central bank policy. But as long as these impediments are removed, then nothing can prevent a central bank from pushing up NGDP. You can accept all of these points and still believe in so-called "endogenous money". It doesn't change anything. * For now I'm agnostic about the last bit of Scott's phrase, namely "impact the business cycle". In this post I've worked purely with the price side of things. The careful reader may notice that Scott's quote is a working-over of an old Rothschild quote: "Give me control of a nations money supply, and I care not who makes it’s laws." ** Another word for non-pecuniary return is convenience yield. When writing in a purely monetary context, I've referred to the specific non-pecuniary return provided by exchange media is their monetary optionality, or their moneyness. *** One other lever for degrading is a policy of randomly freezing deposits. I've written about this here. Say that deposits are plentiful such that the marginal deposit no longer yields a non-pecuniary return. It's still possible to decrease this return even further. Say banks face the possibility that the central bank might randomly block their access to deposits for a period of time. Central bank liabilities, once excellent settlement media, are no longer as effective due to potential embargoes preventing them from serving that purpose. Their non-pecuniary return now less than before, banks will hastily try to sell deposit holdings in order to maintain the expected return of their portfolios. Prices rise, as does NGDP. Like negative interest rates, at some onerous rate of embargoing deposits, depositors will flee into non-embargoed 0% cash. So some scheme like Miles Kimball's floating exchange rate between cash and deposits is necessary to prevent mass conversion into paper. ****I'm not saying Mike Sproul necessarily advocates this policy, but if he did need to jack up inflation, I think it might be one of his go-to options since it is entirely consistent with his "backing" theory. Market monetarists and "buying up everything"
Market monetarists have a reductio ad absurdum that they like to throw in the face of anyone who doubts the ability of central banks to create inflation. It goes like this; "So, buddy, you deny that central bank purchases can have an affect on the price level? What if a central bank were to buy up every asset in the world? Wouldn't that create inflation?" Since it would be absurd to disagree with their point, the buying up everything gambit usually carries the day. In this post I'll bite. I'm going to show how a money issuer can buy up all of an economy's assets without having much of an effect on the price level. Let's return to my Google parable from last week. You don't have to read it, but you should. If you don't have the time, here's a brief summary. In an alternate world, Google stock has become the world's most popular exchange media and all prices are expressed in terms of Google shares. Google conducts monetary policy by changing the return it offers shareholders, thereby ensuring the price level is stable. The reason I'm using a Google monetary world rather than our own is that it cuts through all the accumulated baggage associated with our central bank-dominated monetary discussion. A new set of lenses may let us see a bit more clearly. Say that financial assets trade at or near fundamental value, where fundamental value is the present value of returns to which assets are a claim. Deviations from fundamental value are fleeting since investors will either buy undervalued assets or short overvalued ones. Google starts printing huge amounts of new shares and injecting them into the economy by buying stocks, bonds, commercial paper, derivatives, and whatnot. Their wallets flush with new Google cash, individuals start to spend away unneeded cash balances, putting downward pressure on Google's share price, and upward pressure on prices. Google's mandated doubling of the price level seems well on its way to being fulfilled. But something halts the decline. The moment that anxious sellers push Google shares below fundamental value, investors step in and buy all shares offered. No matter how long Google's buying rampage continues, and how large the supply of Google cash in the economy, these investors mop up all unwanted shares. This has the effect of putting a floor under the price of the stock, and vice versa places a ceiling on the amount of inflation that can be created. Thanks to the investment demand for its shares, Google can buy up all the world's assets while hardly causing an increase in the price level. The reason that investors willingly set a floor beneath Google's stock price is that Google is buying up assets at market prices, as stipulated by its charter. In buying at these prices, Google's fundamental value will never change, no matter how many shares it prints. Say that equity in our Google universe tends to trade at a risk-adjusted multiple of 10x earnings (i.e. a share is worth ten times current per-share earnings). Since Google is prohibited from paying more than 10x risk-adjusted earnings for the assets it acquires, and is itself valued at the same 10x earnings multiple, its fundamental value after each acquisition remains the same. In other words, Google has the same per-share earnings throughout its purchasing campaign. When anxious transactors try to rid their wallets of the excess exchange media created by Google "printing", -- say they drive Google shares towards 9x earnings -- savvy investors will immediately jump in and buy the undervalued stock, enjoying a free lunch until they've pushed Google's price back up to its fundamental value of 10x earnings. So contra the market monetarist claim, the economy's reigning monetary superpower can print and buy up all the world's financial assets -- yet not cause inflation. There are a few simplifications I've made here. Acquirers incur transaction costs. Commissions must be paid to investment bankers, for one. Secondly, there really is no such thing as "one market price". Financial assets trade in a range called the bid-ask spread. If Google always buys at the higher ask price rather than patiently waiting to be filled at the lower bid price, then it will consistently lose small amounts on each transaction. This means that after each acquisition, Google's fundamental value will have declined by a few beeps, and investors will bid Google shares down a bit. But this transaction effect is small, nor is it equivalent to the effect that market monetarists are talking about when they refer to central bank power over the price level. Now back to the real world. Whatever general rules of finance that apply to Google's highly liquid financial media apply just as ably to the Fed's highly liquid financial media. See my previous post on this. So take out every mention of Google share in the above text and substitute it with Fed deposit and the same conclusions can be drawn. Lastly, just like Google's charter prevents it from overpaying, the Federal Reserve Act specifies that the Fed must buy all assets in the open and liquid market, effectively preventing the Fed from overpaying for assets. So our analogy is more appropriate than one might initially assume. PS. I'm not saying that central banks can never push up the price level via mass purchases. I'm saying that given a certain set of constraints, a central banker can buy up every single asset in the economy without having much of an effect on the price level. It is interesting that this constraint, embodied in our hypothetical Google's charter, approximates to the rules that actually govern the Fed and other central banks -- namely that assets must be bought at market prices. Remove this constraint and it would be very easy for either Google or a central bank to push up the price level, as my previous post showed. In trying to understand how modern monetary policy works, I find it useful to create parables, or alternate monetary worlds, and put them through the wringer. Hopefully I can learn a bit about our own world via these bizarro universes. Let's say that in an alternate universe, people have decided to use Google stock (in bearer and digital form) as way to conduct most transactions. To top it off, all prices are set in fractions of a Google share. Shares get issued into the economy when Google pays employees with stock, makes corporate acquisitions, or purchases things from suppliers. Shares are removed when Google does buybacks. In our alternate universe, people hold Google shares in bearer format in their wallets, or they own shares as electronic entries in a centralized database. Should you walk into a store to buy cigarettes, the sticker price might be 0.3 Googles. You can either hand over 3 Google bearer shares, each equal to 1/10th of a full share, or you might electronically debit your Google share account for the full amount. Like any other share, a Google share is also a claim on the cash flows of the underlying business. Say that a week has passed and Google's shares have exploded in value due to higher margins announced at their quarterly earnings call. Now when you go to the store to buy cigarettes, they cost only 0.1 Googles. Alternatively, Google's prospects take a turn for the worse when it is sued for massive copyright infringement. Now when you go to buy cigarettes, a pack costs you 0.8 Googles. You get the point. A Google price level would be highly volatile, with all the thorny macroeconomic implications that such instability brings with it. Google has come to recognize the public service that Google shares provide as both a medium of exchange and a unit in which other people post prices. It decides to take steps to ensure that Google shares neither rise too fast nor fall too much, or, put differently, that the general price level should be stable. One way Google can go about managing the price level is by varying the returns that shareholders enjoy. If the general price level is falling too fast, or, put differently, if Google shares are in a bull trend, CEO Larry Page may choose to suddenly announce that going forward, less earnings will flow to shareholders. By increasing the interest coupon on all Google-issued bonds, a larger share of profits will be diverted from the equity class to bondholders. In reaction to this announcement, Google's share price fall and, conversely, the price level begins to rise. This only makes sense. After all, in one fell swoop the present value of future Google shareholder income, often called fundamental value, has been reduced. On the other hand, if inflation is the problem (i.e.if Google shares are collapsing), Larry Page might announce that henceforth bond coupons are to be cut, thus diverting more of the firm's profits back to shareholders. The share price will pull out of its bear trend -- after all, shareholders can expect a greater discounted flow of income than before -- and conversely, the price level will cease bounding upwards. Larry Page has thus emerged as the economy's price-level setter. By either diverting profits away from or sluicing profits towards shareholders, Page holds the general price-level steady. What do Google open market purchases do? You'll note that I haven't mentioned money supply changes (ie. Google share supply changes) as the driver of the price level. Changes in the quality of Google shares -- their fundamental value -- and not the quantity of shares have been driving the price level up till now. In fact, the classical example of an increase in the quantity of money -- broad open market purchases of assets -- needn't make much of a difference to our Google-determined price level. As long as Google consistently buys liquid and quality earning assets with newly printed shares and/or invests in decent projects that are neither over- nor underpriced, then all shareholders will retain the same claim on earnings that they did prior to the open market operations being conducted. Fundamental value remaining constant upon the completion of open market purchases, Google's share price will remain unchanged, as will the economy-wide price level. This isn't to say that open market purchases are always neutral. One way for Google to use open market operations to affect the price level would be to issue new shares in such a way that upon completion, Google's per share earnings will have declined. We can call these sorts of transactions dilutive acquisitions. The best way to make a dilutive acquisition is to overpay for assets or buy worthless assets. Put in a bid for a collection of awful paintings, offer to pay a 50% premium to take out a company that already trades at fair value, or purchase a rail car full of carrots set to go bad the next day. Each of these transactions will permanently impair Google's per-share earnings base and destroy fundamental value. Google's share price will plummet to a new and lower floor as a result, the mirror image of which is a jump in the economy's price level. On the flip side, Google can fight inflation by making a series of stock-financed accretive acquisitions. Buy up companies trading at undervalued prices and/or invest in projects with superior risk-adjusted yields. As a result of an accretive open market purchase, Google shareholders will enjoy an increase in per-share earnings. Should Google shares be in the midst of a bear trend (ie. inflation), a series of these accretive acquisitions will halt the bear and stabilize the price level. There is a lack of symmetry between overpaying to stop a deflation in the Google price level and underpaying to stop an inflation. One is easier to do than the other. To overpay for something, just go to any store and offer twice the sticker price for an item. No store owner will try to dissuade you. Google could offer to buy a few million shares of Microsoft at 20% above market value. They'd have no shortage of investors willing to take them up on that offer. On the other hand, try walking into the same store and offering to pay half the indicated sticker price, or watch Google try to wade into the market for Microsoft shares only to bid 20% under the current price. You're not going to be able to buy anything at the store, nor will Google get any offers for Microsoft. The upshot of this asymmetry is that it's far easier for Google to stop a deflation with open market purchases than to stop an inflation with open market purchases. If Google announced its own version of QE or QE2, say $500 billion in upcoming treasury bond purchases, neither the announcement nor the actual purchases would be likely to affect the price level much. This is because the markets in which Google is buying assets are very deep and the announced purchases are being conducted at market prices. Google's risk-adjusted per share earnings, or fundamental value, will be the same both before and after QE. In order to get the price level to rise or, equivalently, the value of Google shares to fall, rather than announcing QE of $x billion, Google should announce purchases of $x billion at a y% premium to the last market price. The losses incurred upon acquiring these assets at non-market prices would immediately drive the value of Google shares down, and the price level up. So the way to give QE bite is to be irresponsible and conduct purchases at silly prices. Having just said that Google open market purchases are irrelevant if they target assets trading at market values, I'm going to backtrack a bit. This isn't entirely correct, because we need to include the idea of a Google liquidity premium. Before Google shares ever became popular as exchange media, they were valued as mere equity claims. Rational traders would have ensured that the price of shares did not fluctuate far from their fundamental value, or the risk-adjusted net present value of cash flows thrown off by Google's underlying business. In this respect, Google stock was like any other stock, whether it be Apple, Cisco, or Exxon. As Google shares became more widely used as exchange media, their price would have risen above fundamental value by a thin sliver called a liquidity premium. In essence, where before a Google share threw off a single pecuniary stream of cash flows, that same share now throws off not only the pecuniary stream but also a stream of non-pecuniary services related to its liquidity. All things staying the same, the addition of this extra non-pecuniary stream of services would have put a Google shareholder at an advantage relative to shareholders in other companies. After all, the quality of being moneylike, or having what I like to call "moneyness", is a desirable property in an asset. These excess returns would not have lasted long. The market would quickly bid up the price of Google stock until it offered a return commensurate with all other assets. The amount by which Google's price would have been bid up is what we call the liquidity premium. The general price level thus contains within it two components. The first and original component is explained by Google's fundamental value. The rest of the price level is related to Google's liquidity, or a liquidity premium. As already noted, QE, or open market operations at market prices, can't affect the first component. Both before and after QE, Google's per-share cashflow stay the same. But QE can affect the latter component, the liquidity premium. The increase in the supply of shares brought about by QE means that the marginal owner of Google exchange media finds their demand for liquidity satiated. What follows is the hot potato effect that market monetarists so dearly cherish. Those with an excess supply of Google exchange media will sell whatever shares (ie. cash) they no longer need, putting downward pressure on the price of shares and upward pressure on the price level. This is the classical quantity theory of money, in which an increase in the supply of media of exchange pushes the price level higher. But the hot potato effect will not cause shares to fall by more than the value of their liquidity premium. If they fall by more, then share's will effectively be worth less than their fundamental value, a situation that won't last long as rational investors bid share prices back up. There is a floor below which more QE simply has no effect. The depths to which Google's price falls because of QE depends on the size of the liquidity premium relative to fundamental value. The larger the liquidity premium, the more there is for QE to shrink, and the greater the price-level effect. I doubt that Google's liquidity premia will be very large, especially in open and competitive markets, so I don't think QE will push the shares down much or bring prices up too high. To get a massive rise in the price level, better for Google to announce QE at non-market prices. The effect would be a double whammy: not only would Google's liquidity premium shrink via the classical hot potato effect, but its fundamental value would deteriorate too. Having explored our Google monetary universe, let's transfer what we've learnt to our own universe in which central banks such as the Federal Reserve are monetary dominant. Just as Google varies the price level by fiddling with the return on Google stock, the Fed can vary the price level by toying with the return that investors expect to enjoy on Fed-issued financial instruments. One obvious difference is that Google issues stock whereas the Fed issues deposits. But this is a difference of degree, not of kind. Both a deposit and a stock are instruments that provide a claim on their issuer. A deposit provides a safer fixed claim whereas a stock provides a riskier floating claim, but at the end of the day both instruments derive their value from their ability to act as titles to underlying businesses. The better the underlying business, the more valuable each respective claim will be. If inflation is moving up too fast, the Fed can divert extra income towards depositors by increasing the interest rate it offers on deposits. This notching up of the interest rate enhances the life-time value of cash flows thrown off to owners of central bank deposits relative to other assets. This excess return will be quickly arbitraged away as investors compete to buy deposits, pushing their price up until they offer the same return as all other assets. This brings the general price level down, nipping inflation in the bud. Vice versa, if the price level is deflating too fast (ie. if deposits are rising in value), the Fed can reduce the interest rate on deposits. This lowers the return on deposits relative to all other assets in the economy. Investors sell deposits until their price has fallen to a low enough level that they once again offer a competitive return. Thus the Fed terminates an incipient deflation. Large open market purchases at market prices bring in a sufficient amount of earning assets to ensure that depositors will always receive the same risk-adjusted return that they enjoyed prior to the open market operations. There is thus no reason for the market to bid the price of deposits down when the Fed announces open market operations. Deposits are just as fundamentally sound as they were before. On the other hand, if the Fed creates new deposits to purchase a collection of awful paintings, or offers to pay a 50% premium to take out a company already trading at fair value, or buys a rail car full of almost rotten carrots, the value of deposits will fall and the price level rise. This is because the Fed now owns less income-generating assets than before, thereby rendering it more difficult to make future interest payments to depositors. The risk-adjusted return on deposits -- their fundamental value -- has deteriorated. Investors will quickly bid down the price of Fed deposits until they once again offer a sufficient return to compete with other assets. A series of these dilutive purchases, much like Google's dilutive purchases, will put a halt to any deflation. As in Google's case, open market purchases at market prices can't hurt the underlying fundamental value of Fed-issued deposits. But purchases will still have a bite on the price level by reducing the liquidity premium on Fed deposits. I'll hazard a guess that the liquidity premium on Fed deposits is normally much higher than what Google would enjoy in our Google monetary universe. This is because unlike Google, the Fed can force banks to use deposits as an interbank settlement medium. By limiting the amount of deposits it issues and inhibiting the ability of competitors to provide alternatives, the Fed ensures that its deposits command a higher liquidity premium than they would in a free market. Thus, open market purchases and sales, even at market rates, will typically have significant effects on prices since a proportionally larger part of the price level is explained by deposit liquidity premia. In other words, the monetarist hot potato effect is large. This has all changed since 2008. The Federal Reserve operates with a massive amount of excess deposits, or reserves. The supply of deposits is no longer special, artificially limited, or difficult to acquire. This means that the liquidity premium on deposits is probably much lower than before. So while open market purchases at market rates may have some effect on reducing prices, they can only narrow what was already a very thin liquidity premium. In other words, today's hot potato effect set off by QE is a feeble version of what it was before 2008. The Google price level is determined by two elements: the underlying earnings power of Google's business as well as a liquidity premium arising from the superior ease of transacting with Google shares. Google monetary operations can change the price level by working on either of these two elements. I've hypothesized that the same rules apply to the Fed. If we can take one lesson from our Google monetary universe, it's that mass open market purchasing schemes like QE probably have little bite because they don't change the fundamental value of Google or the Fed. QE has been conducted at close-to-market prices, and therefore brings an appropriate amount of assets onto the Fed's balance sheet to support the deposits created. Nor do mass open market operations affect the liquidity premium much, since the current glut of Fed-issued deposits means that their liquidity premium is probably very small. In order for QE to significantly push down the return provided by deposits, and drive up prices, the Fed needs to do more than announce large asset purchases -- it also needs to announce that it will buy at wrong prices. 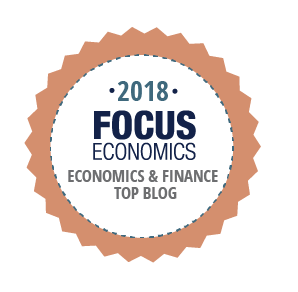 This blog post is pretty much a mashup of everything I've read over the last few years from Nick Rowe, champion of the hot-potato effect, Mike Sproul, defender of the fundamental/backing theory of money, Stephen Williamson, who likes to talk about liquidity premia, and Miles Kimball, who introduced the blogosphere to Wallace Neutrality. Everything I've said about Google open market purchases is just as applicable to open market sales. The classical quantity theory of money story is that open market sales reduce the supply of money, therefore causing deflation, or a fall in the price level. But if asset sales are conducted at the going market rate, then in Google's case, expected per-share earnings stays exactly the same as before and there is no reason to expect Google's share price to improve. Google can use open market sales to affect the price level only if it sells assets at non-market prices. For instance, Google might conduct share buy backs when it perceives that its shares are underpriced. If Google execs have evaluated the situation correctly, then each open market sale will improve Google's financial situation and cause the share price to jump. On the other hand, Google can purposefully sell assets held in its portfolio at below-market prices in order to hurt fundamental value and cause inflation. 03.08.2013 - Changed "advantage relative to other shareholders" to "would have put a Google shareholder at an advantage relative to shareholders in other companies"
03.08.2013 - Added "moneyness" link. 21.08.2013 - "open market purchases at market prices can't hurt the underlying financial viability" ... financial viability changed to fundamental value.